Everyone thinks they know what dizziness is, but this term is often misused to describe sensations such as imbalance, nausea, hypotension, weakness, double vision, visual blur, malaise, and so on. True dizziness is one that presents as a false sense of self-motion or of the environment, often associated with imbalance and/or feeling sick. If you can not balance, but do not have the false sense that you or the surrounding environment is in motion, this is not dizziness. For example, patients with neurological injuries may lose the ability to stand balanced even without necessarily feeling dizzy. Dizziness is what we feel when we spin fast or when we are drunk. When the dizziness is caused by a sense of rotational movement, that is, when it seems that everything around is spinning, we call it vertigo. 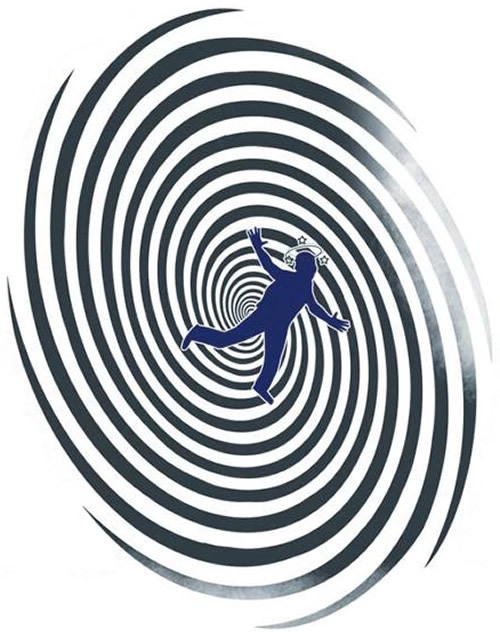 Vertigo is the most common type of dizziness. To understand BPPV, it is necessary to first know the functioning of the inner ear. The labyrinth is an organ present inside the ear, composed of a set of semicircular arches that have liquids in its interior. The movement of these fluids is what helps the brain identify body movements and keep us in balance. Thanks to the labyrinth, the brain can interpret angular movements, linear accelerations and gravitational forces. Do you know why we get dizzy after we shoot? Because when we stop, even though we are still, the liquids inside our inner ear are still in rotational motion for a few seconds, causing the brain to interpret that we are still running. 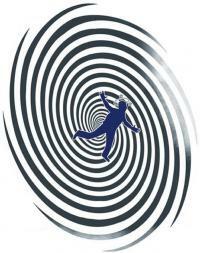 Therefore, despite being stopped, we feel the sensation of rotation, characterizing dizziness and vertigo. The occurrence of benign paroxysmal positional vertigo is usually attributed to the presence of calcium crystals within the posterior semicircular canal, which is the lowest of the 3 channels of the labyrinth and responsible for the detection of linear acceleration of the head. The presence of these crystals alters the normal flow of fluid within the canal, leading to misinterpretations of the brain when there are movements of the body, especially the head. BPPV is classically triggered by specific head movements. About 35-40% of the cases of benign paroxysmal positional vertigo are idiopathic, that is, they do not present an established cause. Mild head injuries can be the triggering factor in about 15 to 20% of patients. The remaining cases are usually caused by other diseases, such as otitis media (headache), head surgeries, Meniere's disease, vestibular neuritis, migraine and several other diseases of the ear. Patients with BPPV usually complain of recurrent episodes of vertigo lasting less than one minute. Nausea and dizziness may also occur. Although each individual episode is brief, it can be repeated for days, weeks or even months (the average duration is two weeks). Patients often have sudden spontaneous remissions, and relapse months later. Episodes of dizziness are caused by specific movements of the head, such as looking up, lying down or getting up, or rolling in bed. The quandary may arise suddenly, with vertigo appearing for the first time as soon as the patient wakes up and tries to get up. The presence of nystagmus, which are rhythmic and abnormal movements of the eye, are typical of benign paroxysmal positional vertigo. There are maneuvers that can be done during the physical examination, such as the Dix-Hallpike test, which help trigger vertigo and nystagmus, making it easier to diagnose BPPV. There are several physiotherapic maneuvers with the head that aim to move the crystals of calcium in order to expel them from the channels of the labyrinth. These techniques are called otolytic repositioning maneuvers and present excellent results. Performed in your doctor's office, the otolytic repositioning maneuvers are composed of several simple and slow head positions. Each position is maintained for about 30 seconds after the disappearance of vertigo or nystagmus. This technique is generally effective after one or two sessions. Your otolaryngologist will probably teach you how to perform the procedure on yourself, so you can do it at home before returning to the office for reassessment. Medications are usually not needed to treat benign paroxysmal positional vertigo.